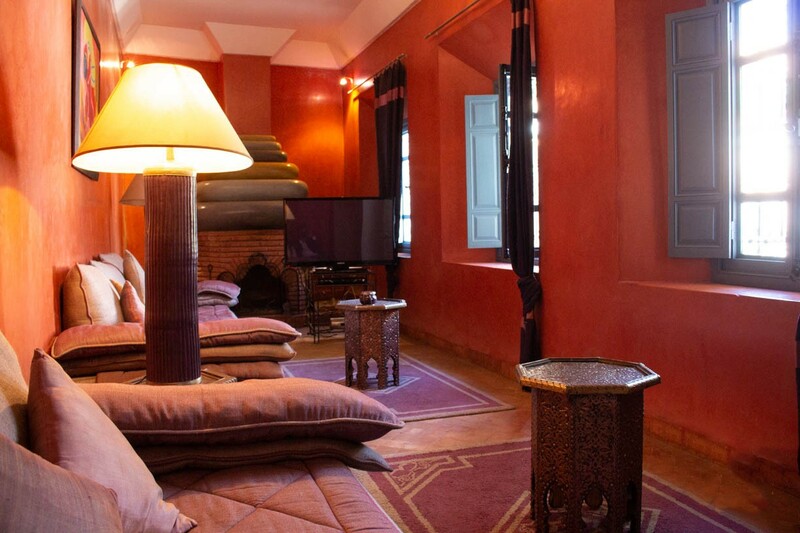 In one of the coolest corners of town, this stunning riad is a 3min walk from Marrakech main square. A much loved second-home, the historic riad has been beautifully restored and has 4 ensuite bedrooms, an evocative patio courtyard, lovely terraces, a full-sized hammam, modern kitchen and rooftop bar. Sold with freehold title deeds, this is a beautiful and very relaxing home with high-end rental potential. 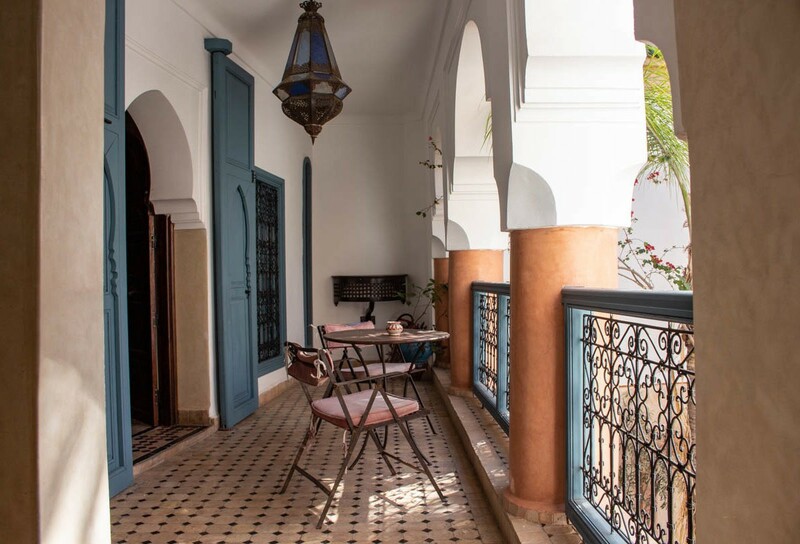 In the process of restoring the riad, the owners have retained the wonderful opulent feel of this historic building, while installing the modern creature comforts that make this a very comfortable home from home. 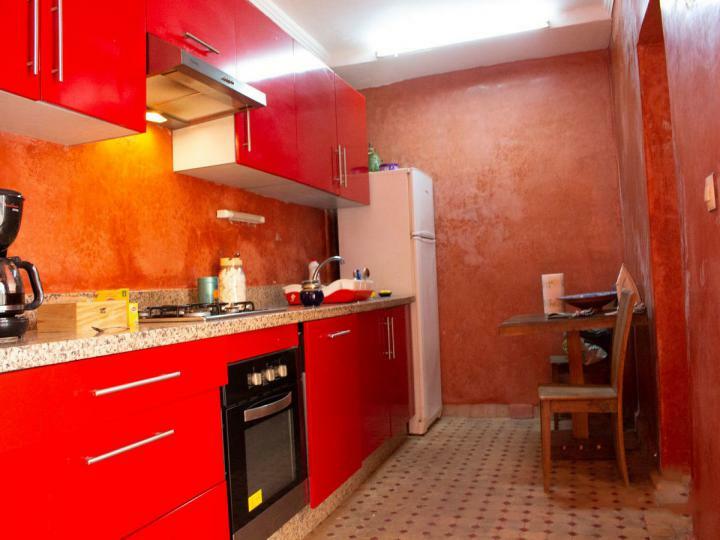 It would also make a great investment as a top-end rental property. The patio is bright and wide, with plenty of space for cool seating areas, the well-established trees and the water-fountain. 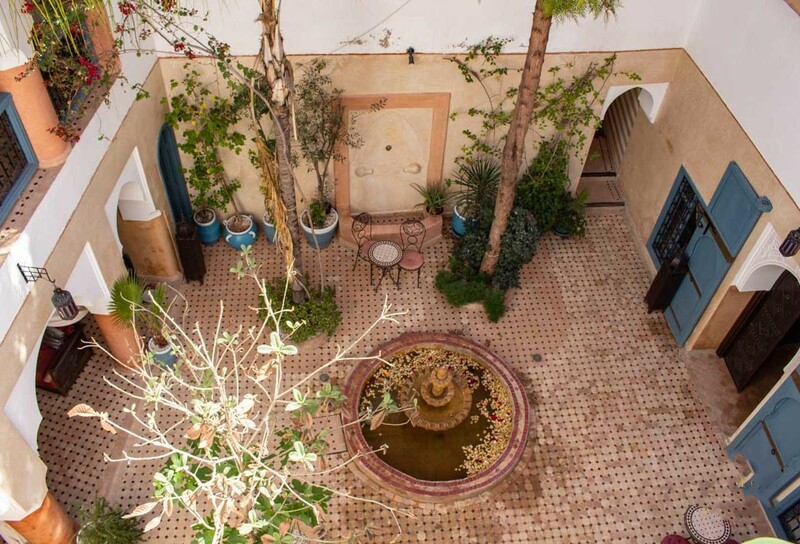 There are two roof terraces where there is a summer kitchen, a lovely marble hammam and large shady pergola - the perfect spot for warm evening cocktails. Despite its central location, the riad is on a quiet street and, once through the front door, a chicaned entrance draws you through to the tranquil central courtyard where there is a water fountain and mature trees and plants. 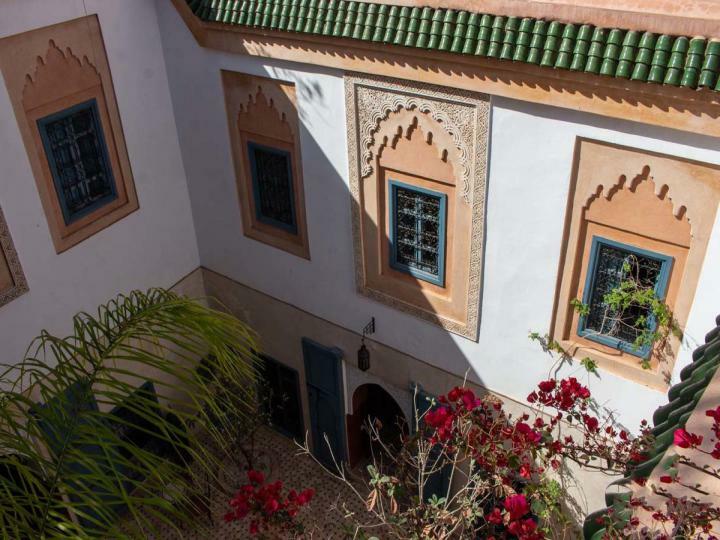 The period features throughout the property have been beautifully restored and finished, but the modern creature comforts, such as air-conditioning, are also in place. 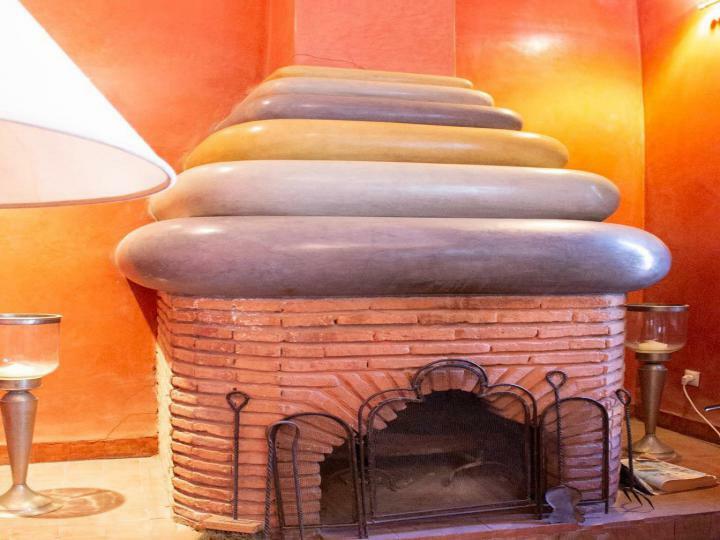 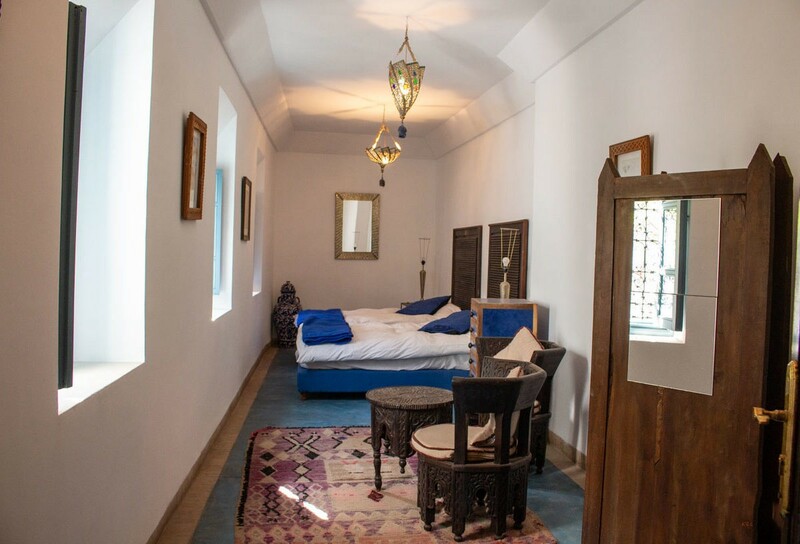 Around the courtyard there is a lovely cosy sitting room with inglenook fireplace, a modern marble fitted kitchen, dining room and the first ensuite bedroom which has a traditional Berber ceiling. There is also a guardian’s room and guest WC. 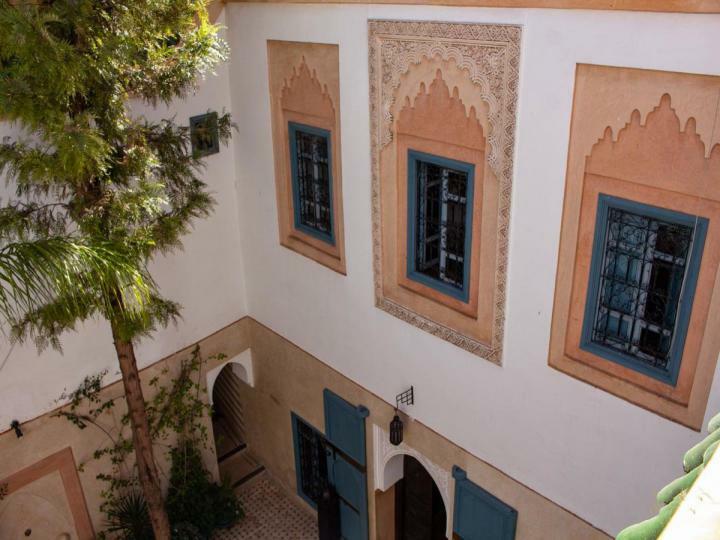 On the first floor, the riad is configured into two independent sides. 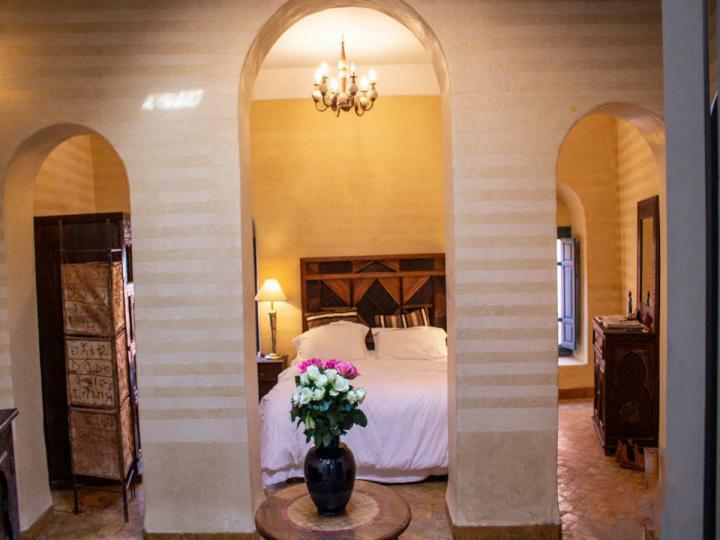 On one side is a suite with a large bedroom, lovely sitting room with a rather unique fireplace, a kitchenette and a private bathroom. There is also a terrace above the suite with plenty of space for sun lounging and enjoying dinner al fresco. 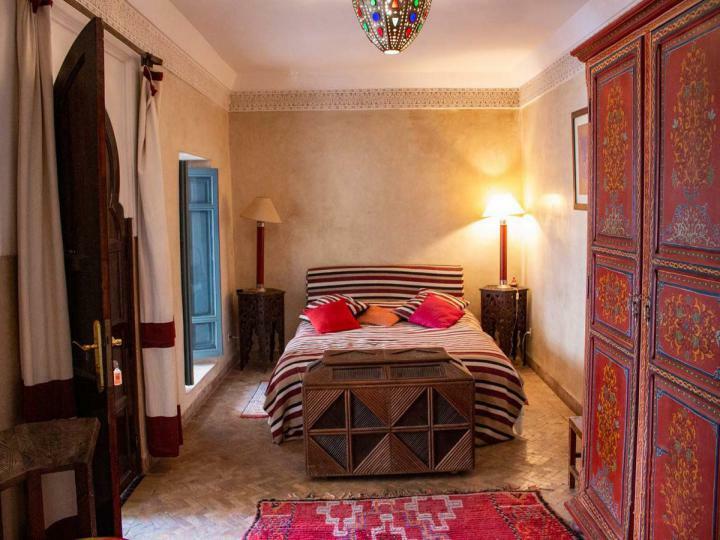 On the other side of the riad, there are 2 ensuite bedrooms joined by a wide coursive. 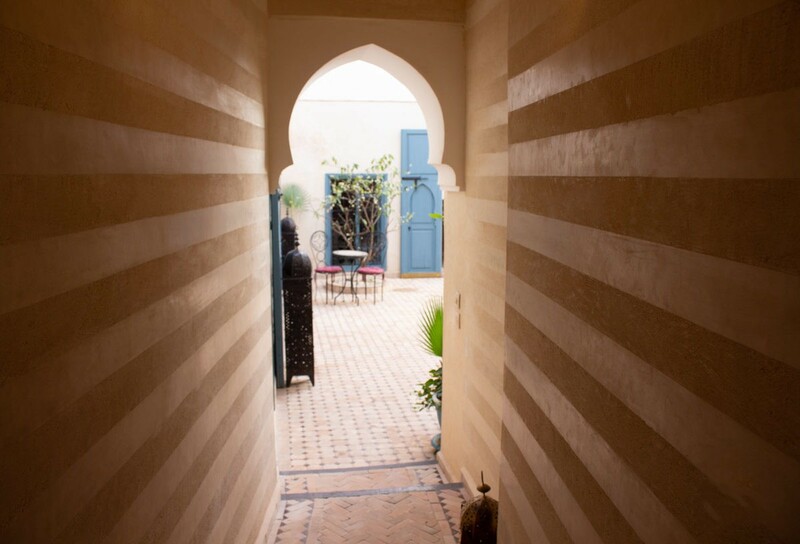 Above the 2 ensuite bedrooms is the second terrace, a large area with rooftop kitchen and bar, covered pergola, sunny seating area and a beautiful marble hammam. 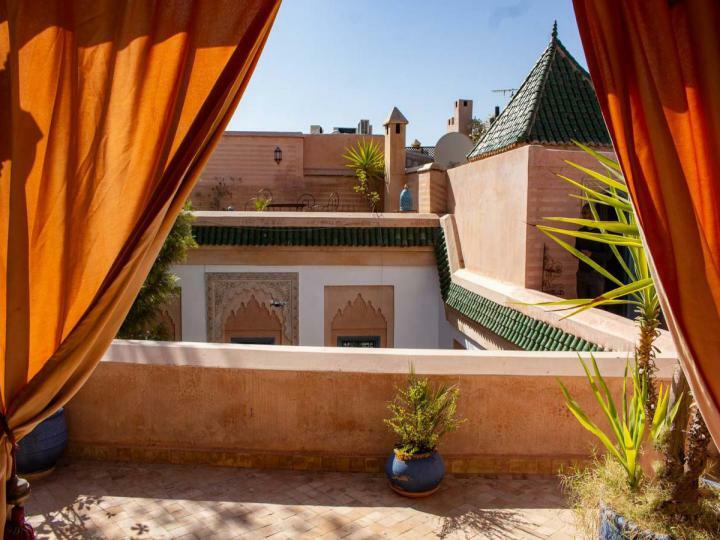 Marrakech never fails to mesmerise all the senses - exotic sights, sounds and smells around every corner. 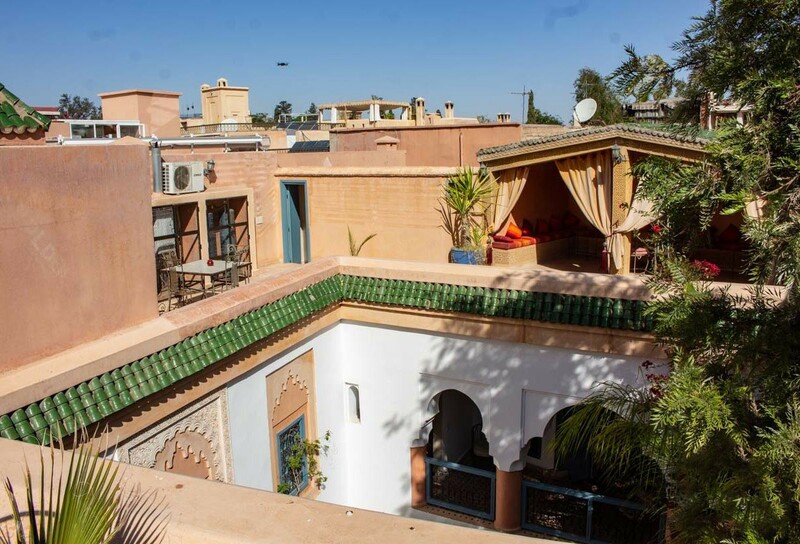 The city has great style, be it the opulence and luxury of the spas and hammams, superb restaurants, verdant gardens and beautiful architecture or its sense of heritage and hospitality. 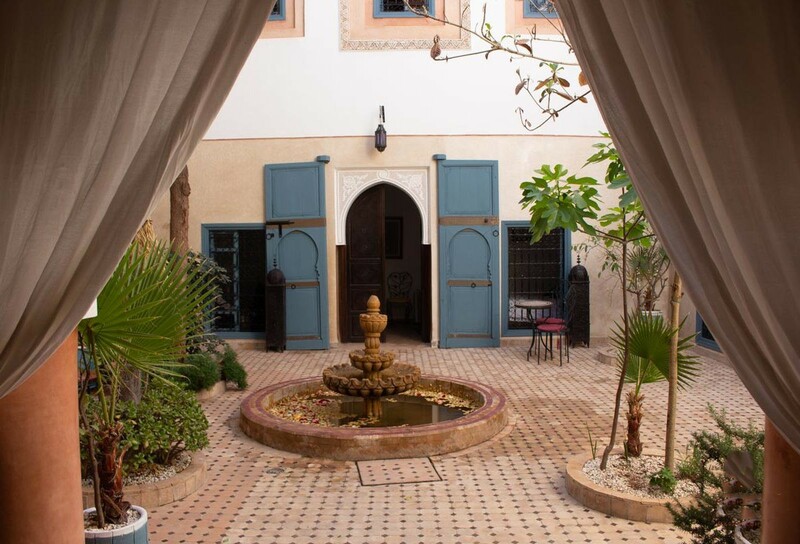 The medina is unique, soaking up the atmosphere of the souks during the day and strolling around the main square at night to see the traditional musicians, dancers, story tellers and food stalls is all part of the experience. 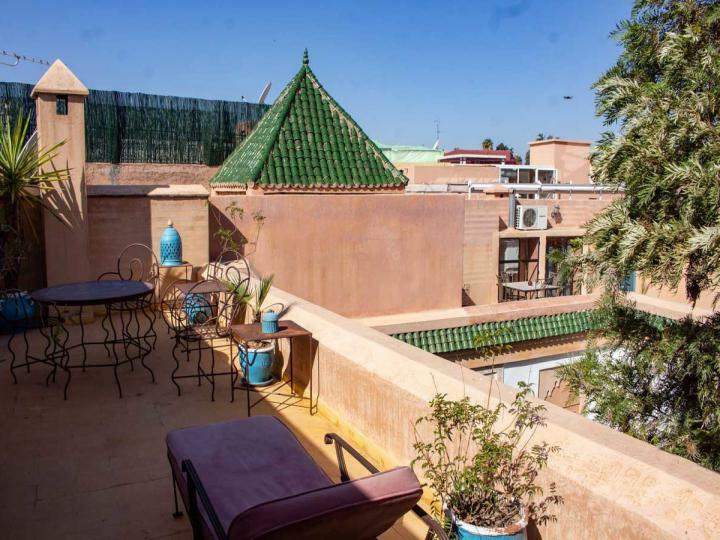 The city is an ideal base to explore the Atlas Mountains an hour to the south, the desert to the east and the coast to the west. Marrakech is a short flight from the UK, just 3hrs from London, yet it feels like a completely different world.